Stagecoach is to begin operating its new overnight sleepercoach routes between Scotland and London in July. The first of the new routes will serve Aberdeen, Dundee, Perth, Cumbernauld and London. Starting on 8 July, it will provide overnight services every day of the week, with tickets booked through the megabus.com website. The operator announced in April that is introducing a network of overnight sleepercoach services to link London with Aberdeen, Aviemore, Cumbernauld Dundee, Dunfermline Edinburgh, Falkirk, Ferrytoll park and ride in Fife, Glasgow, Inverness and Perth. All routes on the sleepercoach network will be operated through the Scottish Citylink joint venture between Stagecoach and international transport group ComfortDelGro. 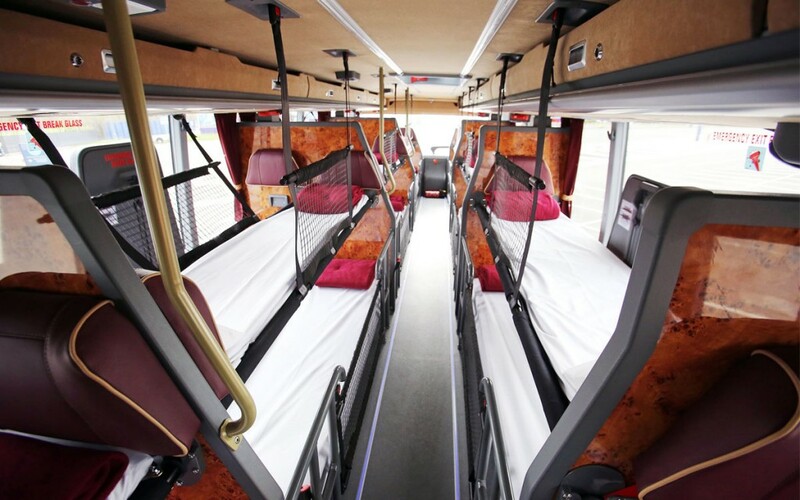 The launch of the new network follows the launch of a pilot route between Glasgow and London using refurbished vehicles fitted with bunk beds. All of the new overnight megabusGold.com routes will be launched this summer, with detailed start dates for each service to be confirmed over the next few weeks. Prices will range from £15 to £60 and they will run seven days a week. A fleet of ten specially designed Van Hool Astromega 15m double-deck coaches featuring 53 leather seats that can be converted into 42 lie-flat beds will be used to run them. Each of the £500,000 vehicles are specified with tables, power sockets, free Wi-Fi and a toilet. Customers using the overnight service receive complimentary refreshments during their journey. As a pilot, passengers will also be given a choice of a blanket or a onesie to sleep in.